Nyle’s life with her grandmother on their Vermont sheep farm advances rhythmically through the seasons until the night of the accident at the Cookshire nuclear power plant. Without warning, Nyle’s modest world fills with protective masks, evacuations, contaminated food, disruptions, and mistrust. Things become even more complicated when Ezra Trent and his mother, refugees from the heart of the accident, take temporary shelter in the back bedroom of Nyle’s house. The back bedroom is the dying room: It took her mother when Nyle was six; it stole away her grandfather just two years ago. Now, Ezra is back there and Nyle doesn’t want to open her heart to him. Too many times she’s let people in, only to have them desert her. If she lets herself care for Ezra, she knows he’ll end up leaving her, too. 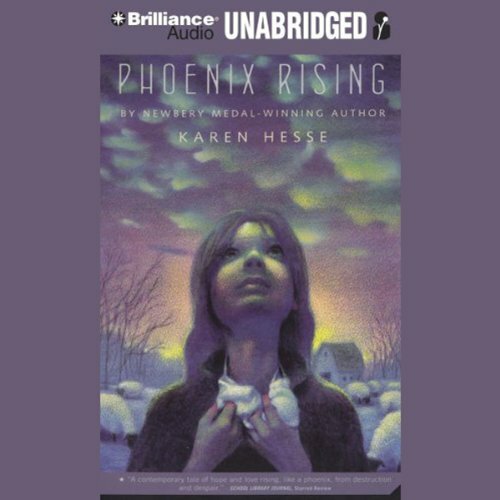 ©1994 Karen Hesse (P)2010 Brilliance Audio, Inc.